The newly elected EVCOM board has highlighted Brexit as a key threat to the events industry, and will host a strategy meeting in September. 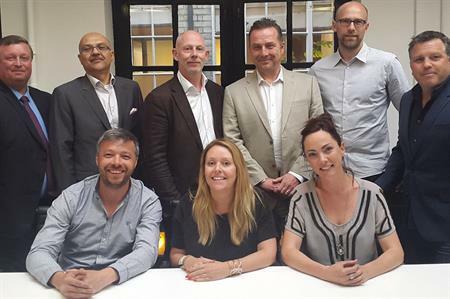 The new board, who met for the first time at a senior leaders summit on Monday (25 July), said Brexit was the most pressing issue currently facing the events industry. As a result, the board has decided to dedicate a specific strategy day to Brexit, looking at how EVCOM best addresses the pressing industry concerns. Andrew Smith, new chairman, said: "We have a very clear mandate from members to help them through the changes. But what Brexit is and how it will effect is far from clear. This year we have the most active and passionate board I have been a part of and we need to pool that energy and make plans that actual help each of our members businesses." Those who attended the meeting included representatives from Activate, Ashfield Meetings & Events, BlueHat, C2, First Event, Grass Roots, Heather Robinson, Inntel, MCHA Ltd, MCI, Penguin Events, Pure Events, RLC, Stage Struck, TTA, Wild Goose, Zibrant, MD Events, drp, Kabuki Productions, Jack Morton, TFI Group and Rapport.